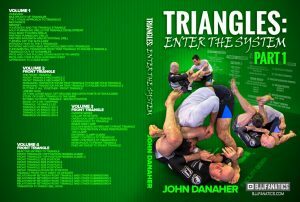 Now that there are four John Danaher masterpiece instructionals out, it is time to start organizing them. Albeit few, they area part of a collection, one that we certainly hope will grow with time. After all, it is not about how many different DVDs Danaher has, but how much material is available. 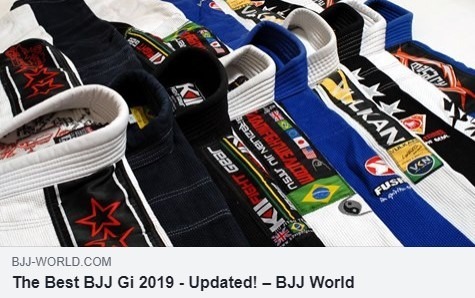 At present, the collection is more than 40 hours long, with information that addresses every aspect of BJJ. Today, we’ll go over the John Danaher DVD collection piece by piece, to demonstrate exactly why every grappler alive needs to own it. John Danaher is by far the most enigmatic BJJ personality in the grappling world. Until this year, there were no more than a few minutes of him online, speaking at interviews. In terms of instructionals, there was not a minute of material to be found. That quickly changed once Danaher went on the Je Rogan podcast, amazing everyone. It was, initially the introduction to what later turned into the John Danaher DVD collection. 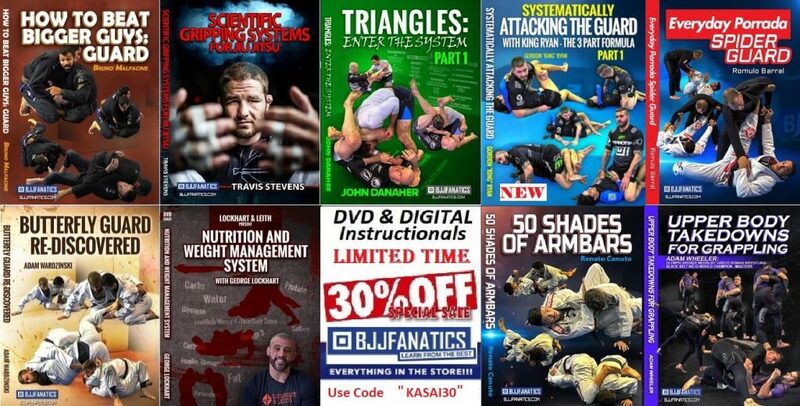 Now, in just a few short months, there are four DVD instructionals featuring unrestricted information about the most effective BJJ systems available today. The John Danaher DVD collection is as close to a holy trinity for grapplers as it could be. 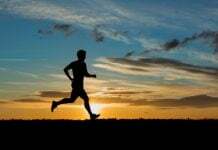 For those that manage to go through all his material, and apply it in training and competition, there are no limits. 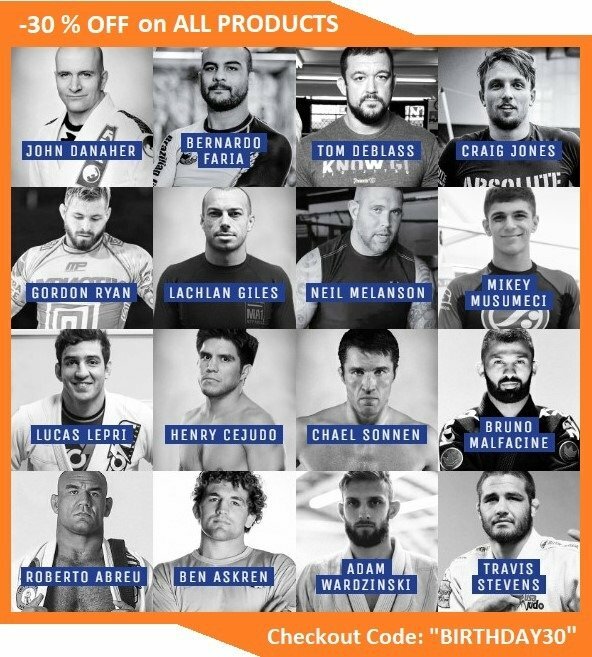 Just look at the phenoms in the Ryan brothers and Tonon, not to mention all the people we still don’t know about. Picking up the John Danaher DVD collection is the best way of obtaining knowledge directly from the source, bar going for privates at the blue basement in NY. 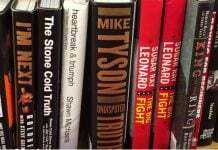 On the other hand, acquiring the collection is a guaranteed way of getting integral information about some for the core positions in BJJ the sport of Jiu-Jitsu. The price is more than reasonable for what you’re getting in return. You could be a brand new student or a black belt. Regardless of your rank, you’ll find something of use in the John Danaher DVD collection. Although, to be fair to new students, expect to be a bit lost until you get a bit more experience under your belt. 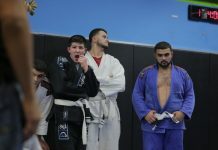 While Danaher explains everything down to the smallest detail and repeats things often, he does approach his teachings with the notion that you have the basic principles of Jiu-Jitsu down. The best thing about Danaher’s DVDs is that you can use them in many more varieties than just the given ones. For example, everything he demonstrates works with the Gi just as well as without it. Furthermore, Danaher’s principles apply to every aspect of Jiu-Jitsu. 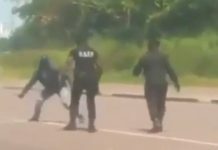 So, if you learn how to enter into leg locks, Kimuras, Front headlocks and attack the back from the feet, you’ll also learn how to pass most guards you come up against. It is the power of the conceptual approach Danaher takes in his DVD instructionals. The naming of the John Danaher DVD collection is spot on as well. Calling his instructionals Enter the system is probably the best possible title for the collection. He really presents everything organized into large systems, all of which have subsystems. Furthermore, the method of approach is one that is not very common in BJJ. Instead of focusing on how to do a technique against your opponent, Danaher puts a large emphasis on what the common problems with each position and move are. Moreover, he goes on to develop sound solutions to each of those problems, thus creating a very efficient and foolproof game. Apart from the teaching methodology, which is unique, there’s also a different systematization. Each of the four releases in the John Danaher DVD collection is unique in its own way. Both the presentation and overall approach to subjects differ, depending on the subject. However, Danaher still manages to connect everything into one large game plan. You could even say that he has the one real Jiu-Jitsu masterplan. Technically speaking, all 32 DVDs are perfect. After the unfortunate release of the first leg looks DVD, which was a real disaster in terms of audio and video quality, all subsequent have been flawless. As meticulous as he is, Danaher also released improved verso of the Leg Locks instructional. Normally, this means that all four parts of the John Danaher DVD collection are pristine in terms of production. The very first John Danaher DVD collection member and arguably the most anticipated release in BJJ history. People were trying to reverse engineer and figure out Danaher’s leg lock methods for years. During all this fame, John managed to keep everything in-house without a single video coming out. Not him nor his star students ever gave up their secrets before his DVD emerged. And the DVD had a profound impact on the BJJ world. To be honest, it is even more important than anyone thought. The first eye-catching characteristic was the length of the instructional. 8 DVDs contain a lot of material, especially when someone teaches as Danaher does. However, he really did explain his compete system in its entirety. There’s no holding back as Danaher carefully deconstructs the entire leg lock system that made him infamous in BJJ circles. The instructional is very carefully structured, with the first couple of DVDs focusing only on philosophy, mechanics, and basic principles. Only later-on do the actual submissions start. Even then, Danaher covers all Ashi Garami positions and available attacks first, before going into entries. He also offers a transitional system that links all these positions together. Plus, he leaves strategic openings that allow links with the other DVDs. Not long after the first release, the John Danaher DVD collection got its second member. The subject was one that nobody really thought had more to offer than what we already know. Danaher proved everyone wrong, though. 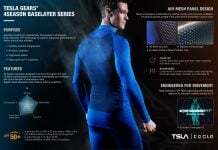 His straight jacket system is as revolutionary as his Ashi Garami system. Plus, he offers so many auxiliary systems that this DVD will make you re-think your complete approach to the back mount. To begin with, Danaher again covers the basics first. It is all about the principles and goals of the back mount position. On top of it, Danaher explains his philosophy and systematization of all the possibilities this position offers. Coinciding with the release of this DVD was the increased use of this position by his students. Actually, most of Gordon Ryan’s latest victory area actually down to back attacks using this system. 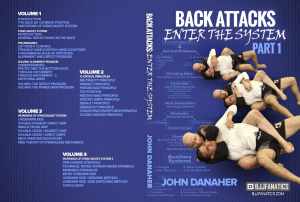 Danaher goes over his famous Straight Jacket back attacks system in detail, dedicating two whole DVDs to it. After the halfway mark, he goes into auxiliary systems, exploring options you have if you can’t choke someone from the Straight Jacket. This is where his knowledge of Jiu-Jitsu truly becomes apparent. 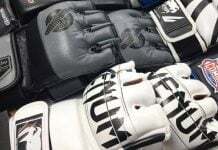 Expect everything, from basic armbars to Twisters and calf slicers. Wrapping things up are entries and transitions, just like in the previous release. The third installment is the one that got me the most excited. Yes, even more than leg locks. I’ve always favored front headlock attacks and this DVD quickly became my favorite. Unlike previous volumes, it starts with setups into the position, mostly standing ones. The Front Headlocks system is arguably the “simplest” one from the John Danaher DVD collection. It is not as elaborate as the previous ones, or the next one, for that matter. However, this makes it the easiest to learn, and its effectiveness was never in doubt. Danaher’s front headlock system features a great systematization of all attacks available form the position. Guillotine chokes, of course, play a huge part in this release. Danaher managed to categorize guillotines much better than the previous very rough two category system of the arm in guillotines and guillotines. Learning the low and high wrist position concepts is going to change your approach to choking people from the front forever. There is also a multitude of arm triangle chokes, in the form of Anaconda and D’arce strangles. Actually, this is the most comprehensive instructional on the Anaconda choke that I have ever seen. As for the D’arce, let’s just say nobody is ever going to escape it ever again. What is the true gem in this instructional are the principles of choking which are unlike anything you know so far. Plus, it all ties in perfectly with the rest of the titles in the John Danaher DVD Collection. The lastest part of the Enter The System series is all about the Kimura. However, if you think that Danaher is only going to demonstrate Kimura locks, you’re gravely mistaken. Danaher teaches Kimura as one of the most powerful positions in the sport of Jiu-Jitsu. He has a completely different system to anything you know, and even to his previous systems. Actually, this DVD has one amazing new feature that makes it stand out even amongst its peers. Here, the volumes end in so-called “classroom commentary” where Danaher goes over the techniques in real time. It is the absolute best way to bring all the lessons he teaches in context. Furthermore, the final part (for now) of the John Danaher DVD collection sheds a whole new light on what we know as the Kimura trap. Danaher calls it the T-Kimura and he offers many more opportunities than anything seen before. Furthermore, he connects the Kimura with every other arm locks variation possible, from both top and bottom positions. Not only that, but he also explores some unorthodox ways of applying Kimuras based on his principles. The Trimura, reverse Omoplata and the multiple Kimuras concepts are just a few examples of what to expect. The latest part of the ENter’ The System Series” that is now available is the Triangles DVD set. This latest addition to the John Danaher collection is actually the penultimate set. In it, John goes over a true staple of Brazilian Jiu-Jitsu – the triangle strangle. As with all previous DVD’s you get a complete system that revolves around the triangle as a position and a submission. Similarly to Kimuras, you’ll soon find out there are more triangle variations than what you originally anticipated. What you get with this set are 8 more prestige volumes, filled with triangle related information. Of course, it all starts with a long and detailed introduction to the triangle, it’s mechanics, central problems, and possible variations. After all the general information though, Danaher goes straight into the first of 5 triangle variations – the front triangles. Three whole volumes cover this variation. Inside them, Danaher teaches everything, from how they work, to setups, adjustments, and entries from anywhere and everywhere. The remaining four volumes cover a triangle variation each. As per Danaher’s triangles system, those variations are the side, rear, reverse and opposite triangle. 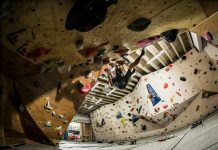 You might be familiar with some or all of them, but you’ll certainly understand each and every one of them with this instructional. 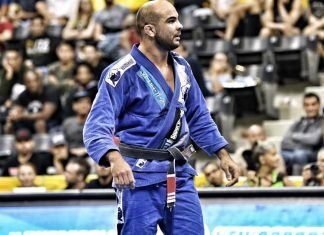 All in all, you get the best guide to using triangle chokes for grappling that is in existence today! If you’re a triangle lover, you’ll discover hidden secrets in every volume. If you do not like triangles than you actually need this instructional more than people who do them! The Armbar series is the final part of the John Danaher DVD Collection. As Danaher himself stated, he bases his No-Gi curriculum on 6 essential systems. The first five are leg locks, guillotines/front headlocks, the back mount, Kimuras, and triangles. The final piece of the Danaher No-Gi puzzle, and the “Enter The System” series are armbars. This final piece of John Danaher wisdom is still to be released though. What we know so far is that the complete Armbars Danaher DVD instructional is recorded and ready. However, Given that the Triangle series just recently came out, our guess is that we’ll have to wait just a little bit longer to get it. Still, it won’t take too much as Danaher’s next huge project is already on the books. But before that, we’ll get to enjoy 8 more volumes filled with Danaher’s take on what’s arguably the oldest submission in all of the martial arts. That said, Danaher’s thoughts on it are going to be just as revolutionary as his previous volumes, no doubt about it. Let’ss face it, whether you love or hate armbars, you’re still doing them whenever the opportunity arises. Now, you’ll learn how to create those opportunities and use Armbars along with every other piece of Danaher’s comprehensive No-Gi grappling system. As soon as the DVD is out, we’ll do an in-depth review and analysis to let you in on what’s cooking inside.